The Best Trumpet Blogs from thousands of Trumpet blogs in our index using search and social metrics. We’ve carefully selected these websites because they are actively working to educate, inspire, and empower their readers with frequent updates and high-quality information. Also check out Top Trumpet Youtube Channels list for Top videos on Trumpet. About Blog The Trumpet Blog regularly posts information related to trumpets and trumpet playing. Find information on many topics dealing with trumpet playing which will include the basics for the first timer as well as advice for the more experienced player. Facebook fans 3,111. Twitter followers 1,655. About Blog Follow Trumpet Journey to find more about Stanley Curtis's trumpets journey. San Francisco, CA About Blog Reddit is a community of millions of users engaging in the creation of content and the sharing of conversation across tens of thousands of topics. A sub-reddit for all things trumpet. Facebook fans 1,188,062. Twitter followers 550,539. About Blog Jeff Lewis Trumpet is about Jeff Lewis's trumpet playing and teaching life. Find how to play better trumpet, trumpet exercises, tutorials, lessons, and suggestions on how to improve your trumpet playing. Facebook fans 206. Twitter followers 26. About Blog TrumpetMaster is your place for all things trumpet on the web. UK About Blog Mouthpiece Online is a resource for trumpet players, educators, students and enthusiasts alike. I aim to bring you advice, product features, new artists and recordings to look out for. This resource was set up by John Hutchinson, a UK pro trumpet player, teacher and arranger with extensive experience working with leading manufacturers including Vincent Bach, Yamaha, P.Mauriat and Edwards. Facebook fans 1,004. Twitter followers 227. About Blog Essential Trumpet Lessons is a podcast about trumpets. Hear interviews with professional trumpeters about their practice and their playing. Find links to topics, people, and recordings mentioned in the interview are in the show notes. About Blog AllThingsTrumpet.com is a blog created by David Cooper, that contain articles on practice and performance tips, improvisation techniques, and general trumpet issues for the serious trumpet player. He also reviews equipment and trumpet literature. Facebook fans 185. Twitter followers 134. About Blog TrumpetChrisBlog.com is the official blog of Canadian Brass trumpeter, Chris Coletti. Follow the blog to find more on trumpets by Chris Coletti. 10. Trumpet Dynamics | Podcasts, Blogs, Stories that Inspire! About Blog Trumpet Dynamics is a podcast and blog that tells The Story of the Trumpet In the Words of Those Who Play It. Bristol, UK About Blog Richard Colquhoun is a freelance trumpet player who lives in and works around Bristol, UK. Follow his blog to find more on trumpets. Facebook fans 331. Twitter followers 540. Italy About Blog Follow the blog to find more on trumpets. Harrisonburg, Virginia USA About Blog Follow the blog to find more on trumpets by Chris Carrillo. Bloomington, IN About Blog Hi I'm Joey Tartell. I am a Trumpet teacher, trumpet player, sports fan. Tartellog is my blog about rantings of trumpets and sports. About Blog Best Trumpet Player teaches you to play high notes on the trumpet using the notes G and C. Follow the blog to get updates from the best trumpet player. Hordaland, Norway About Blog Hi there. My name is Mihai Sorohan and I've been a professional trumpet player for quite a while now. At the moment I work as a trumpet teacher in Norway.This is a page where I share my teaching resources, my practicing routines, solutions I found while trying to fix my own playing mistakes and maybe interesting finds that concerns trumpet playing. About Blog That one trumpet girl who has a nonexistent ego and never talks. Follow the blog to find more on trumpets. 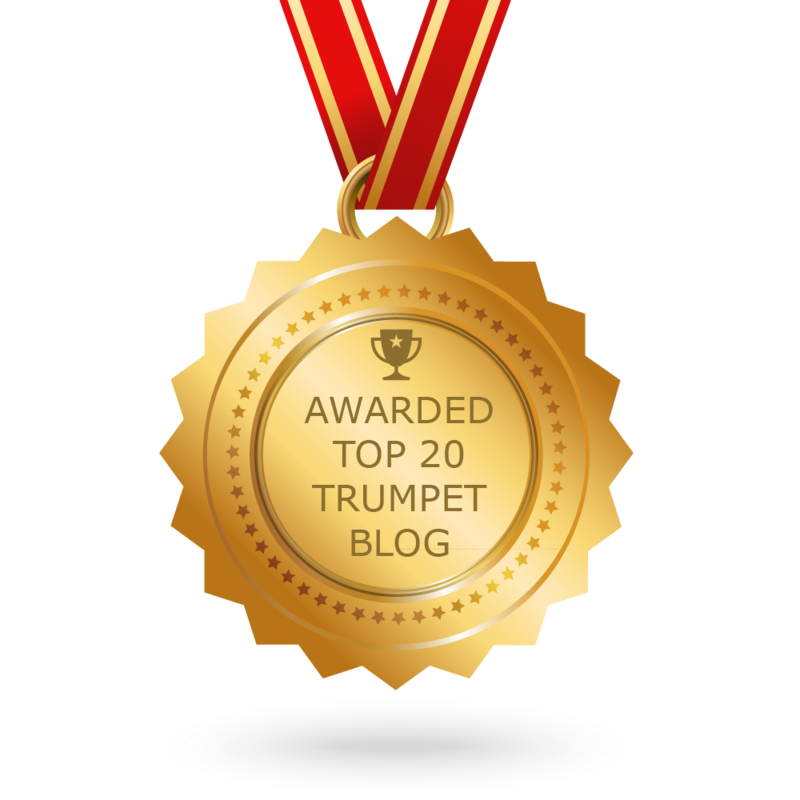 CONGRATULATIONS to every blogger that has made this Top Trumpet Blogs list! This is the most comprehensive list of best Trumpet blogs on the internet and I’m honoured to have you as part of this! I personally give you a high-five and want to thank you for your contribution to this world.